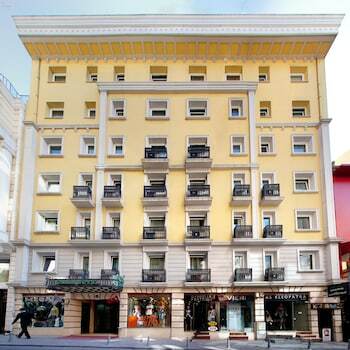 Located in Istanbul (Istanbul City Center), Oran Hotel is within a 15-minute walk of Suleymaniye Mosque and Grand Bazaar. Featured amenities include complimentary wired Internet access, a 24-hour business center, and express check-in. A roundtrip airport shuttle is provided for a surcharge (available 24 hours). With a stay at Mavruka Hotel in Fethiye (Oludeniz City Center), you'll be a 4-minute walk from Oludeniz Beach and 9 minutes by foot from Oludeniz National Park. When you stay at Yasemin Suite in Sile, you'll be near the beach, within a 15-minute walk of Sile Feneri and Sile Beach.